A multifunctional video converting/downloading/enhancing software. Aiseesoft Video Converter Ultimate 9.0 was available as a giveaway on April 19, 2016! 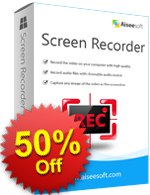 Aiseesoft Video Converter Ultimate is the most professional multifunctional video converting/downloading/enhancing software. It can easily help you convert videos even 4K videos to MP4, AVI, MOV, WMV, FLV, MP3, WMA, etc. with high quality. You can also download videos even 4K videos from Facebook, Vimeo, Yahoo and other popular video sites. This video converter has many interesting editing functions, for example, it allows you to adjust the video brightness/contrast/saturation/hue, crop video area, merge or clip video files, add watermark, etc. After the recent update, now it has even more powerful function, which is video enhancing. First you can upscale a video from low resolution to higher resolution, like from HD to 4K. Second, you can adjust the video brightness and contrast in one click. Third, it helps to rotate and flip your video. Last but not least, it will remove the video noise to make it clearer. 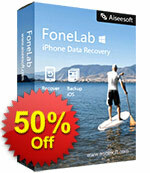 Aiseesoft provides 50% off coupon code for all GOTD users: AISESUOD (apply to recommended products and other products). How would you improve Aiseesoft Video Converter Ultimate 9.0? Aiseesoft PDF Converter Ultimate helps to improve the work efficiency. With this multifunctional PDF Converter, you are able to convert normal PDFs and scanned PDF files in batch to various text or image formats, such as Microsoft Word, Excel, PowerPoint documents and ePub, HTML and image formats according to your needs. As a freeware from Aiseesoft, Free Android Recovery aims at recovering lost or deleted messages, contacts, call history from phones with Android operating system. It supports all Android devices including the latest GALAXY S6, HTC, LG, Sony Xperia. I have had & used three previous versions & they all worked GREAT & I'm going to download & use this one to see any new improvements they may have made. Aiseesoft have always had good products & I have never had any problems with them. Been using the Platinum version for a while now with great results. Aiseesoft Ultimate installed and registered effortlessly. I tried a couple video conversions and they finished in good order using the AMD enhancement. 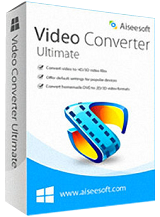 I would say it is a go to converter if you are in need of converting videos. Very good...Thanks GOTD and Aiseesoft. What would be interesting is, Let's say you had a corrupt operating system; How would you transfer this program along with the registration process over to a freshly formatted copy of Windows OS and it be fully useable. Been using the Platinum version for a while now with great results. Aiseesoft Ultimate installed and registered effortlessly. I tried a couple video conversions and they finished in good order using the AMD enhancement. I would say it is a go to converter if you are in need of converting videos. Very good...Thanks GOTD and Aiseesoft. What would be interesting is, Let's say you had a corrupt operating system; How would you transfer this program along with the registration process over to a freshly formatted copy of Windows OS and it be fully useable. Mark, If you felt the program indespensible from your use prior to hardware change, then you would buy a license on new install after the giveaway day to ensure you kept the program and features. That is part of the Giveawayoftheday business model and selling point to the vendors who offer products under GAOTD terms. This is a keeper! The best of all the video convertors offered here so far. I tried it on a short video I had and every option was easy to use and worked perfectly. This company always has programs that do what they say. I even uninstalled all of the other programs I had like this on my computer. Many have mentioned this to be the best. I have used it many times and I must agree this is one of the best programs. Thank you Giveaway. Many have mentioned this to be the best. I have used it many times and I must agree this is one of the best programs. I downloaded and installed this program this morning, but didn't get a chance to try it out until this evening. No problems with the download or installation. I was originally very glad for today's gaotd, because I lost quite a lot when my previous computer died less than a week ago, and I was needing something like this for my new computer...on it's first full day! It's a Dell...running Win10 Home. To try this out and put it through its paces, I chose a 44:05 minute video on youtube. Reaching blazingly fast speeds of up to 128 KB/s (yes, that's a K) I spent almost a whole hour waiting for the video to download around 190 MBs. When this was finally finished I hit the "Convert" and I was prompted to try the new video enhancement features. There was nothing there that I felt was needed, so I just wanted to convert it and be done. It took only a few seconds to convert, and I was thoroughly impressed! I opened the destination folder and saw my video waiting for me...and it had shrunk to 12+MB, and shortened to 2:45. That did not make me happy. There was no sign of the 190MB file I wasted an hour downloading. Allowing that the slow download may have been my wifi connection, the original file should have been somewhere. I can't find it! I found 2 copies of the 2:45 clip, but no copies of the 44:05 original. I had had good luck with Aiseesoft's Audio Converter in converting .wav files to .mp3, so I had good hopes for this program. I am quite disappointed, and may go looking for another program to fill my needs...form somewhere else. I downloaded and installed this program this morning, but didn't get a chance to try it out until this evening. No problems with the download or installation. I was originally very glad for today's gaotd, because I lost quite a lot when my previous computer died less than a week ago, and I was needing something like this for my new computer...on it's first full day! It's a Dell...running Win10 Home. To try this out and put it through its paces, I chose a 44:05 minute video on youtube. Reaching blazingly fast speeds of up to 128 KB/s (yes, that's a K) I spent almost a whole hour waiting for the video to download around 190 MBs. When this was finally finished I hit the "Convert" and I was prompted to try the new video enhancement features. There was nothing there that I felt was needed, so I just wanted to convert it and be done. It took only a few seconds to convert, and I was thoroughly impressed! I opened the destination folder and saw my video waiting for me...and it had shrunk to 12+MB, and shortened to 2:45. That did not make me happy. There was no sign of the 190MB file I wasted an hour downloading. Allowing that the slow download may have been my wifi connection, the original file should have been somewhere. I can't find it! I found 2 copies of the 2:45 clip, but no copies of the 44:05 original. I had had good luck with Aiseesoft's Audio Converter in converting .wav files to .mp3, so I had good hopes for this program. I am quite disappointed, and may go looking for another program to fill my needs...form somewhere else. Edward, search for Atube it has video/audio youtube downloader and option to leave as is or convert to other formats and is free, never had any problems with it. TK, Thank you very much. I have an AMD R7 260X video card with latest AMD driver (16.4.1), but I cannot use GPU acceleration. Help wrote: download AMD Media Codec Package. This pack has gone, in new driver package no include this. Please check graphics card support for AMD cards! I have an AMD R7 260X video card with latest AMD driver (16.4.1), but I cannot use GPU acceleration. Help wrote: download AMD Media Codec Package. This pack has gone, in new driver package no include this. Please check graphics card support for AMD cards! Setup.gcd is not allowing me to connect to GOTD, and until I can connect there I cannot install. Lou Fox, use setup.exe, not the .gcd file. The .gcd is used only by GotD in the activation process. On this Downloader/Converter version, I tested this converter on a couple of older 90's medium Non HD quality Youtube videos, (Which many online videos are in Non HD Quality)at this downloader"s highest quality 1080HD H.264 setting, the output video quality , (was just okay) , nothing special, was hoping output quality would be better on this update, **(Also I used all the the Enhance Options Avail)**, but still does not quite output as higher resolutions as similar advanced Downloader/Converters tried. **( As my online reviews will show, I also emailed Aiseesoft Pre-sales and Support after testing approx a month ago, I inquired re: some of these output quality issues etc, and also (Super great basic features) if possibly can be added to this converter in future releases. Still to this day, no reply or response at all, so why pay for a company's program if there Support is Non-existent, or simply does not care about their consumers program issues and feedback etc? Even many FREE Downloader/Converters tried, at least respond to customer inquiries. That’s why could never recommend purchase of Aiseesoft products! It DEMANDS Internet access, will not load fully without it (spinning cursor of death never stops). Once it gets it, it endlessly offers you other Aiseesoft products. Really annoying. I wonder if the paid versions do the same? Decent quality and speed converter. I use it quite a bit. But... It DEMANDS Internet access, will not load fully without it (spinning cursor of death never stops). Once it gets it, it endlessly offers you other Aiseesoft products. Really annoying. I wonder if the paid versions do the same? So are they lying to us? Though they say it does, It doesn't download Vimeo videos..
On their website they say it's $45 reduced to $31.50 but here they say it's $69 So are they lying to us? Though they say it does, It doesn't download Vimeo videos..
How do i register it? I see the registartion name and key, but it used to click and register, now I have to install more software? Nice interface on this piece of software, clearly marked buttons and tabs. Easy to understand process. Many pre-set options to choose from. Fairly fast I suppose, as I rarely use converters I don't have much frame of reference. Took about 5 minutes to convert an 12 minute video clip. (Times approximate) Converted from a .flv to .mp4. Will be trying a few other conversions later. Now the not so good part of the review. The main reason I tried this software was for the "enhancement" feature(s). I have some rather low quality .flv files I had hoped to clean up a little but it seemed beyond the abilities of this converter. I could tell very little (being generous) to no improvement in my sample. Now, I wasn't expecting miracles but I had hoped for a little more noticeable effect than this. I will be trying out a few other formats later on and just generally fiddling around with it before I consign it to the recycle bin but if I can't get a little more enhancement then I , personally, don't need this. Others who need/use video conversion for other things will most likely like this better than I. As I said earlier, its fast and does the job. Just not MY particular job it seems. Thank you to GOTD and to Aiseesoft for letting us have this! Downloaded, Installed and Activated with no problems on my Win10x64 machine. At least the software part of GOTD is still usable as opposed to the travesty that the game giveaway was this weekend. But I digress ......... Nice interface on this piece of software, clearly marked buttons and tabs. Easy to understand process. Many pre-set options to choose from. Fairly fast I suppose, as I rarely use converters I don't have much frame of reference. Took about 5 minutes to convert an 12 minute video clip. (Times approximate) Converted from a .flv to .mp4. Will be trying a few other conversions later. Now the not so good part of the review. The main reason I tried this software was for the "enhancement" feature(s). I have some rather low quality .flv files I had hoped to clean up a little but it seemed beyond the abilities of this converter. I could tell very little (being generous) to no improvement in my sample. Now, I wasn't expecting miracles but I had hoped for a little more noticeable effect than this. I will be trying out a few other formats later on and just generally fiddling around with it before I consign it to the recycle bin but if I can't get a little more enhancement then I , personally, don't need this. Others who need/use video conversion for other things will most likely like this better than I. As I said earlier, its fast and does the job. Just not MY particular job it seems. Thank you to GOTD and to Aiseesoft for letting us have this! I have always been a fan of Aiseesoft conversion programs as in tests, they, on the whole outperform other products. This one has all the general settings and bells and whistles that you would want from a general converter and running a few tests against older Aiseesoft products of the same ilk, it performs the same. It has just about all the formats and options that you could generally want. 4k and H265 are nice to haves when really needed, although the time it takes to convert to H265 really isn't worth the effort unless you absolutely need it because even on powerful CPU/GPU's it can take a long time. But this is pretty much standard across all such products, so not restricted to Aiseesoft. H264 is still very fast indeed. I am still surprised to see that vendors add support for CUDA and AMD GPU acceleration but still miss out on the excellent Intel Quick Sync and as the technology is free to implement then it would make sense to add it. One bug bear that I do have with Aiseesoft is with regards to the range of software that they offer. It is far more than is needed and could easily be confusing. Over the years they have had Video Converter, Total Video Converter, Ultimate Video Converter, Total Media Converter, Ultimate Media Converter, HD Video Converter and more. They really should stick with 2 or 3 to cover all the bases and make it clearer for prospective purchasers to understand what they are getting from each product. I have always been a fan of Aiseesoft conversion programs as in tests, they, on the whole outperform other products. This one has all the general settings and bells and whistles that you would want from a general converter and running a few tests against older Aiseesoft products of the same ilk, it performs the same. It has just about all the formats and options that you could generally want. 4k and H265 are nice to haves when really needed, although the time it takes to convert to H265 really isn't worth the effort unless you absolutely need it because even on powerful CPU/GPU's it can take a long time. But this is pretty much standard across all such products, so not restricted to Aiseesoft. H264 is still very fast indeed. I am still surprised to see that vendors add support for CUDA and AMD GPU acceleration but still miss out on the excellent Intel Quick Sync and as the technology is free to implement then it would make sense to add it. One bug bear that I do have with Aiseesoft is with regards to the range of software that they offer. It is far more than is needed and could easily be confusing. Over the years they have had Video Converter, Total Video Converter, Ultimate Video Converter, Total Media Converter, Ultimate Media Converter, HD Video Converter and more. They really should stick with 2 or 3 to cover all the bases and make it clearer for prospective purchasers to understand what they are getting from each product. What is the difference between "Aiseesoft Video Converter Ultimate 9" and "Aiseesoft Total Video Converter 9"? They are listed as different products on their website. They are listed as having the same price. Not installing for me. Downloaded and ran setup. Get the GATO activation window right away saying it's activated, and then it closes itself. Then I get the "Sucessfully Activate" window. Last, the browser opens up with the usual Activated - What next window. But nothing is installed. I've installed other Aiseesoft giveaways before with no problem. This is a first. Any ideas? Windows 10. Browser is closed during install. Rick, I'm using Windows 10 32bit, and it installed to the program folder/list as normal. Rick, Same issue here - dbl-click setup, pause, and then it says activated, with no actual installation. Any resolution to this on your side? Not sure if this was the cause, but it worked. This was the first Aiseesoft product I was installing on my laptop. So I did a search and removed everything Aiseesoft that popped up from the previous install attempts. Then I disabled my virus software. After that Video Converter installed and registered with no problems. Activated the virus software and ran a scan and it was clean. Henry, Not sure if this was the cause, but it worked. This was the first Aiseesoft product I was installing on my laptop. So I did a search and removed everything Aiseesoft that popped up from the previous install attempts. Then I disabled my virus software. After that Video Converter installed and registered with no problems. Activated the virus software and ran a scan and it was clean. Some positive reviews here, so I was disappointed to find that converting a .ts file from my Humax video recorder (PVR) to the default .mp4 format gave a very noticeable synch problem. Sound was about half a second late. I'm using a fairly fast quad core AMD processor, windows 10, masses of RAM. I post this (a) to warn people not to get TOO excited by the reviews and (b) to ask whether anyone can suggest a fix for this? have been putting us through lately! Some positive reviews here, so I was disappointed to find that converting a .ts file from my Humax video recorder (PVR) to the default .mp4 format gave a very noticeable synch problem. Sound was about half a second late. I'm using a fairly fast quad core AMD processor, windows 10, masses of RAM. I post this (a) to warn people not to get TOO excited by the reviews and (b) to ask whether anyone can suggest a fix for this? On the plus side, installation and registration was simple and quick, without some of the absurd hoops some software vendors have been putting us through lately! "Keep Original" in the resolution tab. This converter is a Fail for me because there is no "Keep Original" in the resolution tab. This is such a VALID POINT that developers should take on board. Very few of the many converters I have will offer an "as original" setting for all the sub elements you don't want to change. This offering almost gets there by having a "keep original" setting for frame rate....but it omits the same for resolution etc for those that simply want a protocol swap from AVI to MP4 for example. On the front page where the app opens, look towards the bottom of the page. "Settings" in the middle of the last two lines. Under VIDEO SETTINGS, to the right, FRAME RATE can be set to KEEP ORIGINAL. I could not see any way of retaining other sub elements to original spec. you can actually manually put your desired resolution and save it. Jake, you can actually manually put your desired resolution and save it. That is not at all the same as "Keep original resolution", which I've been asking for for years. If what I want is to convert an AVI file to an MP4 file, but retain all the original parameters (resolution, bit rate, frame rate), it's a pain to have to enter them all when "Keep Original ...." would be soooo easy to implement. Especially bit rate, which is not always easy to discern and all I want is for it to be the same as the original. Arcadius, That is not at all the same as "Keep original resolution", which I've been asking for for years. If what I want is to convert an AVI file to an MP4 file, but retain all the original parameters (resolution, bit rate, frame rate), it's a pain to have to enter them all when "Keep Original ...." would be soooo easy to implement. Especially bit rate, which is not always easy to discern and all I want is for it to be the same as the original. AVI & MP4 are containers. So in a few seconds, you're sitting there with an mp4 that is for all intents & purposes exactly the same as your source, with the only difference that it is not in a mp4 rather then avi (container). > If what I want is to convert an AVI file to an MP4 file, but retain all the original parameters > (resolution, bit rate, frame rate) AVI & MP4 are containers. And depending the the codecs used, it could be as simple (& quick & no re-encoding required) as ... > ffmpeg.exe -i input.avi -c copy output.mp4 So in a few seconds, you're sitting there with an mp4 that is for all intents & purposes exactly the same as your source, with the only difference that it is not in a mp4 rather then avi (container). Although I've never tried it. Apowersoft Video Converter Studio is supposed to convert a video to a different format while keeping the original parameters. I hope this helps. DD, Although I've never tried it. Apowersoft Video Converter Studio is supposed to convert a video to a different format while keeping the original parameters. I hope this helps. Having problems with the install. I downloaded the zip file but I get error "Compressed (zipped) folders error" when I try to open it. What do I need to do to fix this issue? The zip file is corrupt. Delete your current folder and re-download the program. Walter, The zip file is corrupt. Delete your current folder and re-download the program. Installed successfully over previous GoTD version. The only difference I can see between this and that version is in Enhance the add of remove video shake which should be of great value to those who work with handheld video productions. I've used the previous GoTD to convert several MKV's to MP4's both enhanced and left as is. In all cases the conversion has been perfect and the results impressive. After I've tried several over the years here, I think this is the one to have. Installed successfully over previous GoTD version. The only difference I can see between this and that version is in Enhance the add of remove video shake which should be of great value to those who work with handheld video productions. I've used the previous GoTD to convert several MKV's to MP4's both enhanced and left as is. In all cases the conversion has been perfect and the results impressive. After I've tried several over the years here, I think this is the one to have. Perhaps more time and experimentation will yield better results. It LOOKS like a very promising suite. I found that settings and actions in this software were less obvious than in VideoStudioExpress. I set various upscaling choices...tried APPLY...no sign of change...then clicked close....and was left wondering if the settings were kept. Re-opening ENHANCE showed the upscaling settings were still set. Thanks for the software - will spend more time assessing it. Like most of these competent offerings - it takes time to work through the functions before passing sensible judgement. Nice bit of software....but Up-scaling didn't appear to do much (visually) on my test video except - take 8 minutes to process a 2 min video - increase file size from 3MB to 35MB - truncate...or rather CROP...the frame content Perhaps more time and experimentation will yield better results. It LOOKS like a very promising suite. Current use of (Wondershare?) VideoStudioExpress (a long ago GOTD offering) gives instant conversion to pretty much any format...you can rotate, change contrast/brightness etc/crop, clip, trim...choose your output protocol, bitrate, frame size and the process is done in seconds (on a 10 year old laptop with a million programs onboard). Sound can be tweaked in a similar way (bit rate/mono/stereo etc) I found that settings and actions in this software were less obvious than in VideoStudioExpress. I set various upscaling choices...tried APPLY...no sign of change...then clicked close....and was left wondering if the settings were kept. Re-opening ENHANCE showed the upscaling settings were still set. Installation (on XP32) and registration were simple - 10 points Thanks for the software - will spend more time assessing it. Like most of these competent offerings - it takes time to work through the functions before passing sensible judgement. "Up-scaling didn't appear to do much (visually) on my test video..."
AFAIK most all software players & HDTVs, & most media &/or Blu-Ray players will upscale video as it's playing. Further, HDTVs will upscale in ways that complement the design of the screen. And if your source is D1 [e.g. DVD or std. broadcast], a player that understands the particular aspect ratios used [non-square pixels & anamorphic 16:9] will continue to display that correct aspect ratio -- unless you choose a stretching mode on your HDTV that is. Long story short, I've not seen a reason to upscale video in software just to have a larger file [because you're storing more pixels], & lower quality [because every time you re-encode you have generational loss]. JB-XPonly, <i>"Up-scaling didn't appear to do much (visually) on my test video..."</i> AFAIK most all software players & HDTVs, & most media &/or Blu-Ray players will upscale video as it's playing. Further, HDTVs will upscale in ways that complement the design of the screen. And if your source is D1 [e.g. DVD or std. broadcast], a player that understands the particular aspect ratios used [non-square pixels & anamorphic 16:9] will continue to display that correct aspect ratio -- unless you choose a stretching mode on your HDTV that is. Long story short, I've not seen a reason to upscale video in software just to have a larger file [because you're storing more pixels], & lower quality [because every time you re-encode you have generational loss]. Further upscaling tests resulted in lower picture quality (pixelation) vs the original. In particular I was trying to enhance car reg numbers from a car DVR. The original video was always more legible than the upscaled vid so it does leave one wondering about the upscale algorithms used in this software - I could not get a positive result. The clip function in this package drove me nuts. I lost so many attempts because the interface was poor and hard to get your head around. On the alternative package mentioned, you can easily see what you have clipped, you can also remove gaps (all on very obvious buttons...with text) or re-order bits and pull in other bits from other files - just so simple to do in comparison. This package is hard work. I'm amazed some folk rave about it. For a STRAIGHT forward conversion, yes it will do the job. But editing? Look elsewhere. I hope the software house takes the comments on board..for their benefit - you can see they have tried to present a capable package but its just not there yet. Given that all other functions are available, faster and way more intuitive in Video Studio Express, I cannot see any benefit to this software, but it was nice to have a look at it. If someone knows of a genuinely capable upscaling bit of software, I'd be keen to look at it. Further upscaling tests resulted in lower picture quality (pixelation) vs the original. In particular I was trying to enhance car reg numbers from a car DVR. The original video was always more legible than the upscaled vid so it does leave one wondering about the upscale algorithms used in this software - I could not get a positive result. The clip function in this package drove me nuts. I lost so many attempts because the interface was poor and hard to get your head around. On the alternative package mentioned, you can easily see what you have clipped, you can also remove gaps (all on very obvious buttons...with text) or re-order bits and pull in other bits from other files - just so simple to do in comparison. This package is hard work. I'm amazed some folk rave about it. For a STRAIGHT forward conversion, yes it will do the job. But editing? Look elsewhere. I hope the software house takes the comments on board..for their benefit - you can see they have tried to present a capable package but its just not there yet. Given that all other functions are available, faster and way more intuitive in Video Studio Express, I cannot see any benefit to this software, but it was nice to have a look at it. If someone knows of a genuinely capable upscaling bit of software, I'd be keen to look at it. When you get a poor quality video the enhancement can make it more acceptable viewing. It doesn't improve the detail it tries to make it look more pleasing and viewable. Regarding numberplate recognition; possibly extracting a frame from the video and then trying one of the the deblurring tools would possibly be a better option. JB-XPonly, When you get a poor quality video the enhancement can make it more acceptable viewing. It doesn't improve the detail it tries to make it look more pleasing and viewable. Regarding numberplate recognition; possibly extracting a frame from the video and then trying one of the the deblurring tools would possibly be a better option. Many thanks for your input Mike. Ref>>> "I've not seen a reason to upscale video in software"
I have the DVR AVI (or MP4/FLV/MOV) file on (micro) SD. I'm at work and I want to play the video in upscaled HD. All I have is my laptop. Take the example further - I then want to frame grab from the clip - say a snapshot of a reg number. Totally different example....I have video from my (ancient low res) cell phone - I want to play it on the laptop in upscaled HD. I take onboard your suggestion of hardware upscaling (HDTV freeview players and the like with USB input) and TV's that upscale - definitely a more sensible option when those devices are at hand. They are purpose built and do a good job. What I'm searching for is something equally capable (as the purpose built hardware based upscalers) that will run in a Win32 environment. The only (semi) decent results seen so far have been from purpose built hardware upscalers. Maybe that's the only route? I guess - to a certain extent - you can't polish a.....rough original ! (efforts only magnify the misgivings). Thanks to all for their input – greatly appreciated and always very interesting to hear how other folk are approaching the same challenges. Enjoyed your last comment, and wholeheartedly agree for although I've not had a television for 20 years amazed when viewing mediocre quality videos on my sister's television in the huge visual improvements it creates. JB-XPonly, all recompression using industry standard lossy codecs like MPEG* or others will always add further degredation it is a mathematical certainty! If you are trying to enhance video frames to attempt to read license plates it must be done loselessly, but even then if the detail is not there in the first place no amount of upscaling will make it magically manifest itself, sorry. Sorry, I download and installed without any problems. Vary easy setup. Downloaded and registered with a problem. Basic features, is lacking he H265 HEVC feature. It also limits you to 720p resolution which is a little disappoint. I have other software that is far better like iSkysoft iMedia Converter Deluxe, which is head and shoulders above this software. Thank you GOTD and Aiseesoft. You appear to have missed the 4K selection; am at present converting a video to 4096*2160 H.265 at 30000 kbps. In there 4K is available with a number of options. DukeBlues, You appear to have missed the 4K selection; am at present converting a video to 4096*2160 H.265 at 30000 kbps. To get there, load a video and at the end you will see a square box in the panel to the right, click on it and this takes you to the video selections. In there 4K is available with a number of options. As soon as you load the program there are blight blue buttons that immediately indicate 4k, UHD and HEVC. Likewise, 1080p is apparent with many of the conversion formats in the resolution field. I would suggest that you haven't actually really looked at the program in any depth at all in order to make a fair comparison to your other chosen product of use. DukeBlues, As soon as you load the program there are blight blue buttons that immediately indicate 4k, UHD and HEVC. Likewise, 1080p is apparent with many of the conversion formats in the resolution field. I would suggest that you haven't actually really looked at the program in any depth at all in order to make a fair comparison to your other chosen product of use. I use this for all my video converting needs It is very easy to use and I think it is the best on the market. I look forward to using the extra functions that I have not got on my current version. When applying enhancement settings and pressing apply, there's no confirmation that they are applied,it just sticks their.However they are applied and upscaling results are very good, worth downloading just for this function. "I would like to be able to adjust audio. Normalize, change the sound quality, or even add remove sounds"
That's beyond the scope of most video converters, & even fewer do that sort of thing well. What you generally need to do is separate the audio & video streams, process them separately, then put them back together -- or use a video editing app that will let you process the 2 streams separately, then encode the results to a single file. Typical converters on GOTD, like today's Aiseesoft Video Converter Ultimate, will not split the audio & video tracks -- for that you need a demuxer that will work with the format of your source file... I'd suggest the tools page at videohelp, where you should be able to find something that will work with what you've got. Then feed the complete original to the Aiseesoft Video Converter Ultimate, & convert. Process the audio separately in your choice of editing app, e.g. audacity, noting that you may have to 1st convert it to something like wav from a format like AC3, & maybe convert the results back to AC3 if that's what you want & your audio editor won't do it. The last step is to take your now finished audio track & use it to replace the audio track in the file you got out of Aiseesoft Video Converter Ultimate. For that you use a muxer [shorthand for multiplexer], & again the software you use will depend in part on what format your converted file is in. The muxing & demuxing steps won't take long -- you're essentially just copying the file. How long the actual editing takes depends on what you're doing [anywhere from a few minutes to several hours]. Note that you can use the same demuxing - muxing steps if you want the audio in a format the converter doesn't offer, or I've done it to retain the original AC3 untouched. mike, <i>"I would like to be able to adjust audio. Normalize, change the sound quality, or even add remove sounds"</i> That's beyond the scope of most video converters, & even fewer do that sort of thing well. What you generally need to do is separate the audio & video streams, process them separately, then put them back together -- or use a video editing app that will let you process the 2 streams separately, then encode the results to a single file. Typical converters on GOTD, like today's Aiseesoft Video Converter Ultimate, will not split the audio & video tracks -- for that you need a demuxer that will work with the format of your source file... I'd suggest the tools page at videohelp, where you should be able to find something that will work with what you've got. Then feed the complete original to the Aiseesoft Video Converter Ultimate, & convert. Process the audio separately in your choice of editing app, e.g. audacity, noting that you may have to 1st convert it to something like wav from a format like AC3, & maybe convert the results back to AC3 if that's what you want & your audio editor won't do it. The last step is to take your now finished audio track & use it to replace the audio track in the file you got out of Aiseesoft Video Converter Ultimate. For that you use a muxer [shorthand for multiplexer], & again the software you use will depend in part on what format your converted file is in. The muxing & demuxing steps won't take long -- you're essentially just copying the file. How long the actual editing takes depends on what you're doing [anywhere from a few minutes to several hours]. Note that you can use the same demuxing - muxing steps if you want the audio in a format the converter doesn't offer, or I've done it to retain the original AC3 untouched. I've used many Video Convertors, this is the BEST ONE in my experience! Version 9.0.18. Already have 9.0.8 (almost certainly from GAOTD). I haven't needed to use a video converter for ages but the Aiseesoft one was one of the better ones in my extensive (GAOTD sourced) collection. Nice easy installation and registration on my new W10 laptop. I'll just leave 9.0.8 on the W8.1 desktop unless someone comes up with compelling reasons to update it. Since last offered here has become my favourite converter mainly because of the enhancement feature. It can really improve the perceived quality of the video and I quite regularly use it just to improve the look. It also offers the ability to rotate the video. Certainly worth a download in my opinion. Since last offered here has become my favourite converter mainly because of the enhancement feature. It can really improve the perceived quality of the video and I quite regularly use it just to improve the look. The last version offered was 9.0.8 today's download is 9.0.18, the enhancement feature has one more item labelled remove noise, It also offers the ability to rotate the video. Certainly worth a download in my opinion. any comparision to total video converter platiunum ? Ultimate has a URL download facility, eg, video clips from Youtube (tried, worked ok on second clip from Youtube I picked). It also has the Load Disc function so you can grap video from DVD's, and the Video Enhance button for upscaling to 4K and other tweaking features. Other functions such as Settings, Clip, Cropping, rotating, contrast, colour control and general file management look much the same. Sounds a good upgrade to go for if you're used to Platinum, as "look and feel" is very familiar, and the new features are things I have had to use other apps for, so good to have all in the one tool. dima, My quick comparison - Ultimate has a URL download facility, eg, video clips from Youtube (tried, worked ok on second clip from Youtube I picked). It also has the Load Disc function so you can grap video from DVD's, and the Video Enhance button for upscaling to 4K and other tweaking features. Other functions such as Settings, Clip, Cropping, rotating, contrast, colour control and general file management look much the same. Sounds a good upgrade to go for if you're used to Platinum, as "look and feel" is very familiar, and the new features are things I have had to use other apps for, so good to have all in the one tool. Comparing both side-by-side on my system, it appears to be a superset of Platinum with a couple of new functions (like Rotate, a welcome addition). Confirming what Arcadius mentioned, you can indeed type in the exact output resolution you want in the output settings, something I was not aware of (thanks!). It would be better to have a Keep Original Resolution setting, but at least this manual setting helps. I really like the Aiseesoft converter. It's very convenient. I slightly prefer Handbrake for a better quality output with default settings, and I was using other converters to handle rotation before, but now it's better than ever with the addition of Rotate. Comparing both side-by-side on my system, it appears to be a superset of Platinum with a couple of new functions (like Rotate, a welcome addition). Confirming what Arcadius mentioned, you can indeed type in the exact output resolution you want in the output settings, something I was not aware of (thanks!). It would be better to have a Keep Original Resolution setting, but at least this manual setting helps. I really like the Aiseesoft converter. It's very convenient. I slightly prefer Handbrake for a better quality output with default settings, and I was using other converters to handle rotation before, but now it's better than ever with the addition of Rotate. Step 3. Open “readme” txt, use the registration code to register it. Aiseesoft Studio, tank you !.